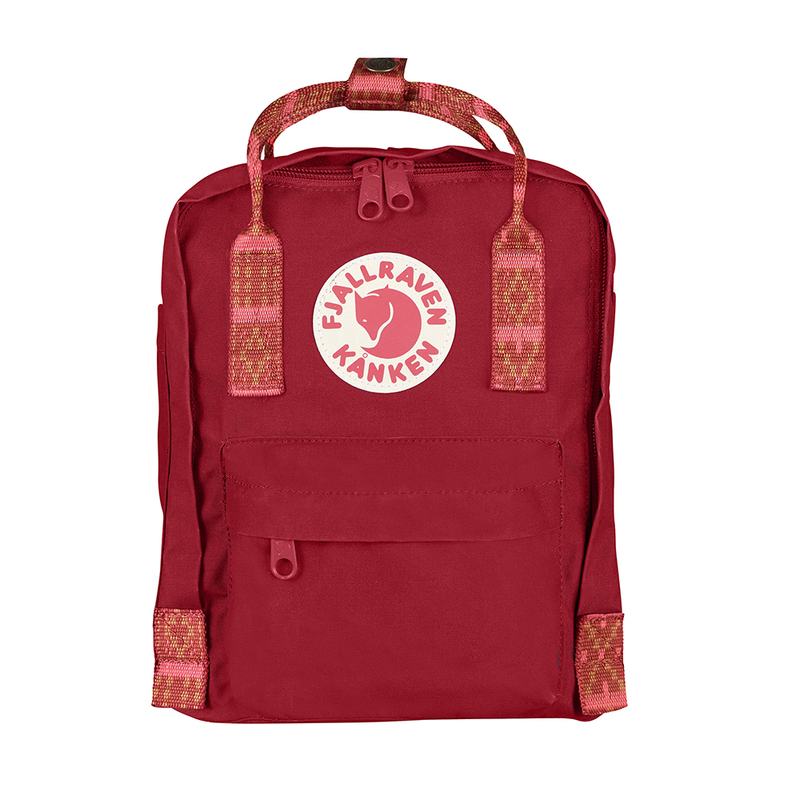 Fjällräven Kånken Mini | Deep Red/Folk Pattern. 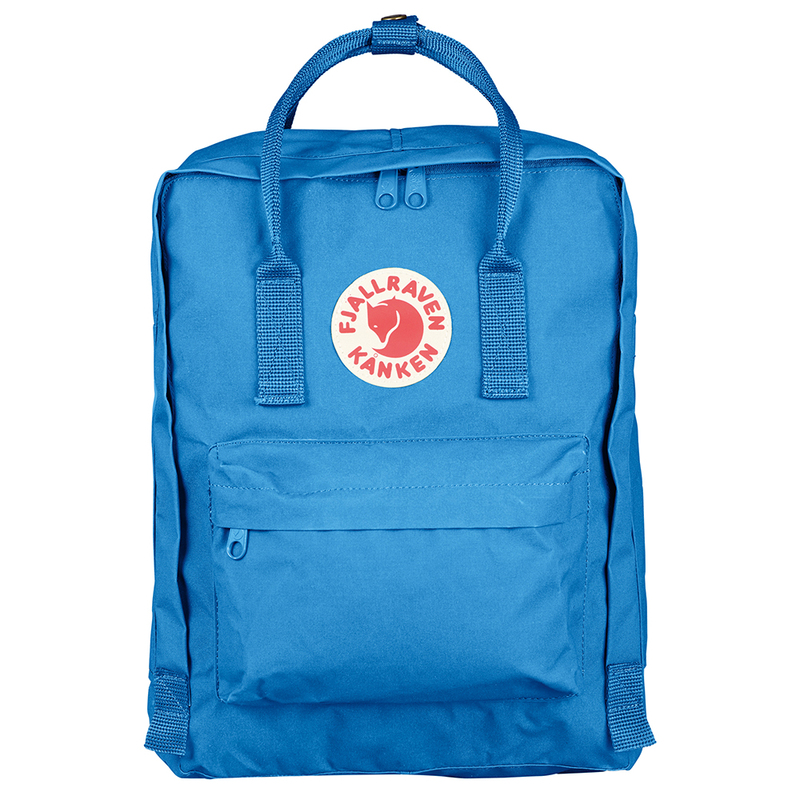 Kånken was created in 1978 to help prevent back problems among Swedish school children and, since then, has become one of Fjällräven’s most appreciated products. 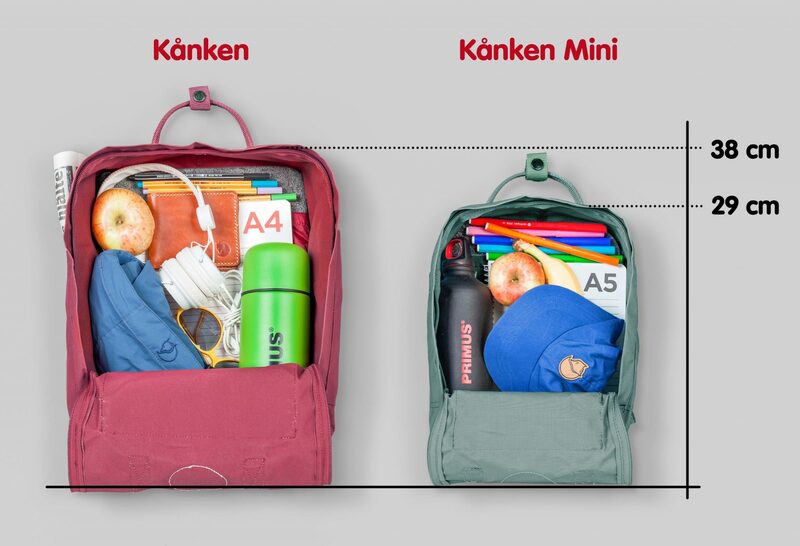 A scaled-down version of the Kånken backpack: the Mini-version is suitable for small children as well as for full grown adults who are looking for a small backpack. 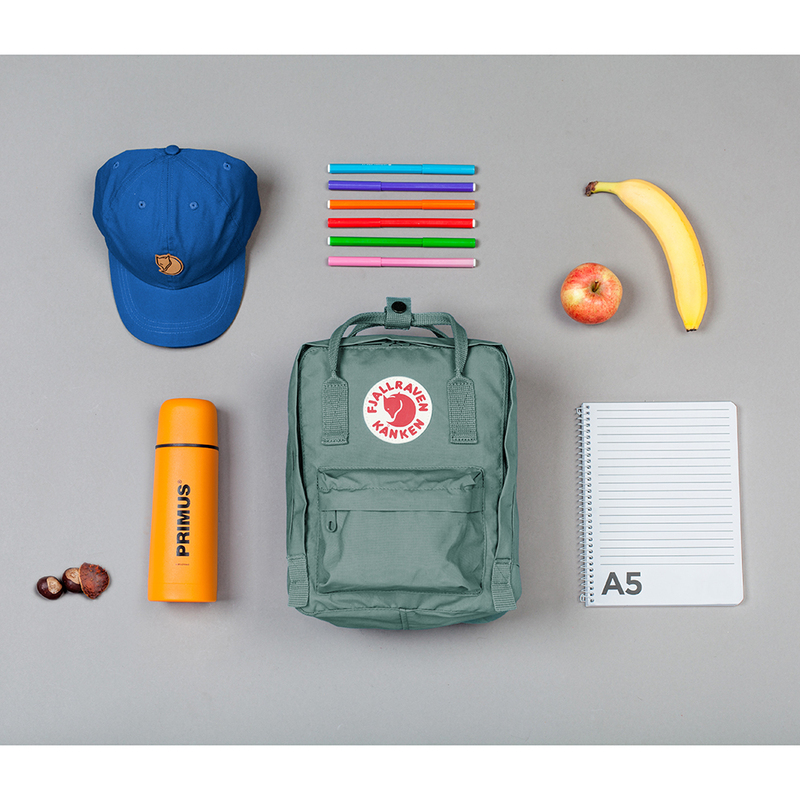 It is perfect for carrying a change of clothes for preschool or food on an outing, and as a smart everyday bag for books, water bottles, fruit and more. 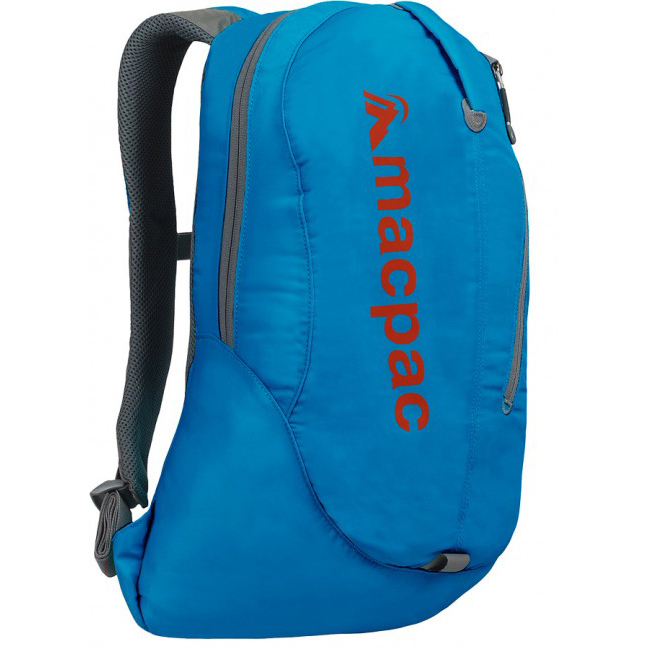 The shoulder straps are long and adjustable and fit both small and big backs. They can be fastened with a clasp so that they are not in the way when at their tightest. The material is hard-wearing, lightweight Vinylon F fabric that is able to withstand dirt and wetness. 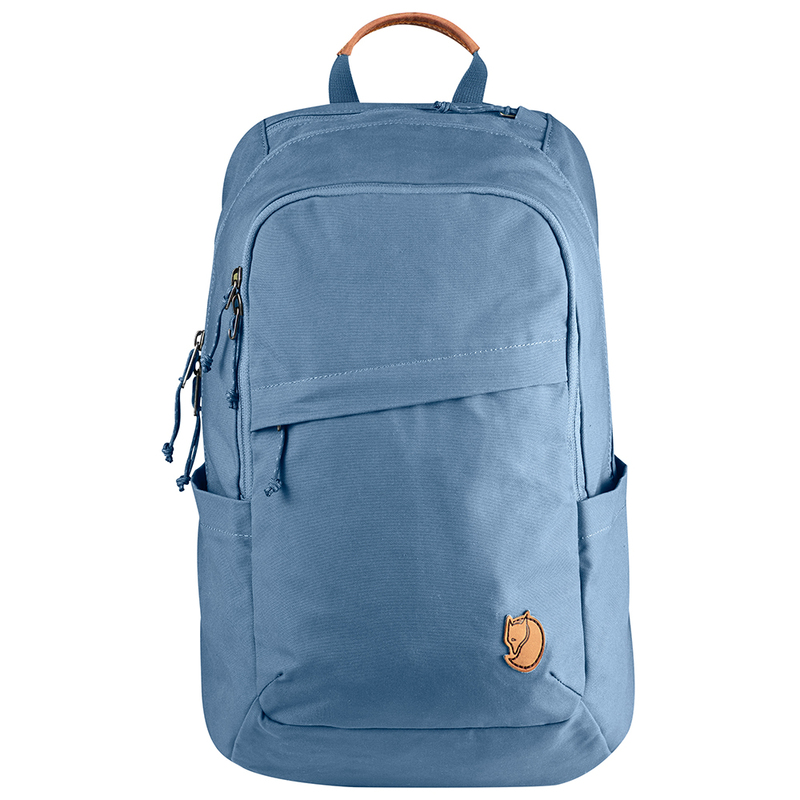 The main compartment has a large zipped opening, which makes it easy to pack and unpack. Two flat side pockets and a zipped pocket on the front. The included PE foam seat cushion is stored in the interior back pocket and also prevents the contents in the main compartment from poking against your back. Handles at the top and slender, adjustable shoulder straps. The logo on the front is reflective. It also has an address label inside the main compartment. 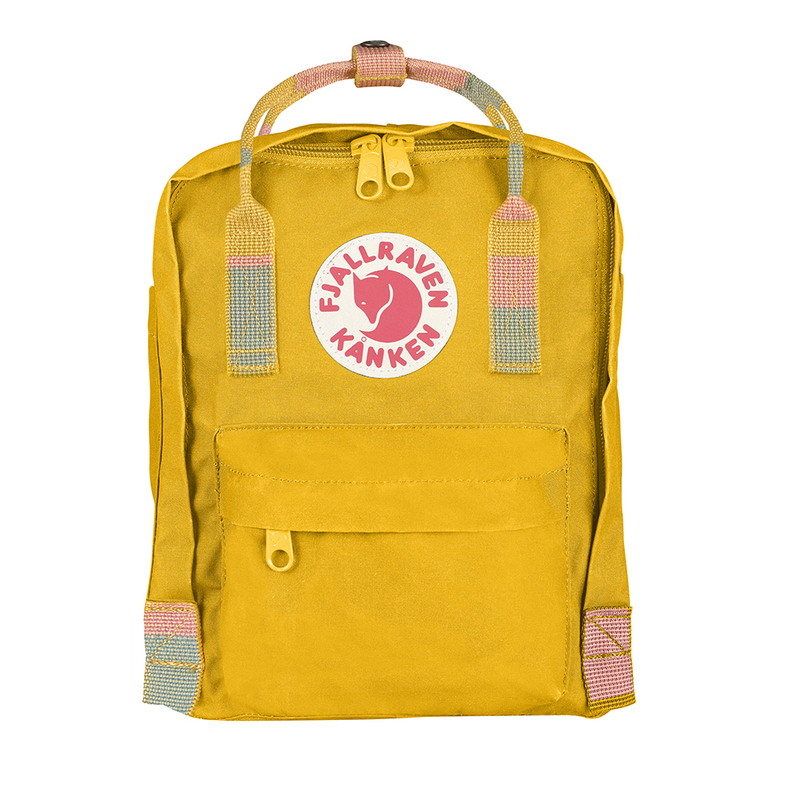 •Popular backpack in hardwearing Vinylon F fabric. 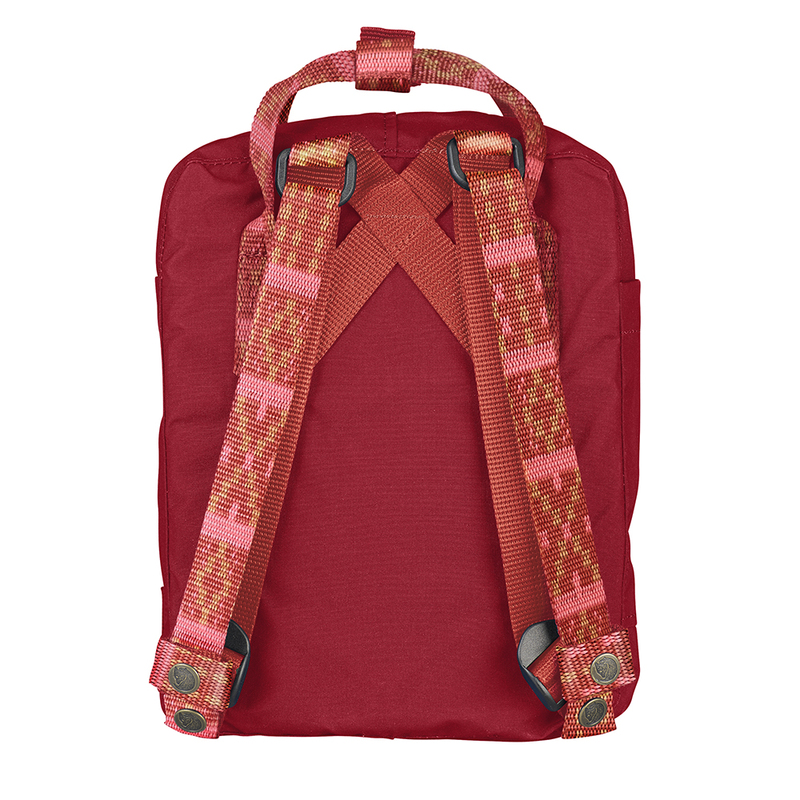 •Carried as a backpack or a bag via covertible straps. •Removable seat pad, reflector in logo and front/side pockets. •Name and address label on inside of pack.